In August, the Reserve Bank of India (RBI) agreed to pay a dividend of Rs 50,000 crore to the government for the previous fiscal, but the government was not happy. It believed that the payout ought to be higher to help address the fiscal deficit. Then came the Finance Ministry's proposal to transfer a surplus of Rs 3.6 lakh crore from the RBI's reserves to the government, to be managed jointly by both. This has become a major bone of contention between the Centre and the apex bank in their ongoing conflict. 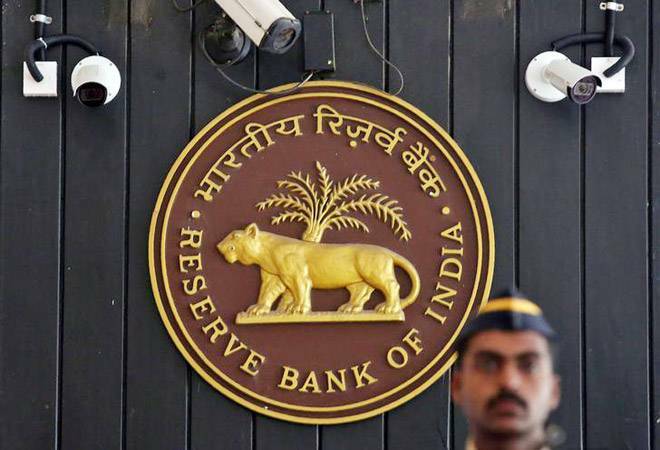 The government essentially believes that the RBI is one of the most highly capitalised central banks in the world and its reserves are excessive compared to global benchmarks. For instance, the RBI holds much higher total capital as a percentage of its total assets (around 28%) compared to countries such as the US, the UK, Argentina, France and Singapore. According to The Indian Express, the FinMin claims that the existing economic capital framework - which governs the regulator's capital requirements and terms for the transfer of its reserves to the government - is not only based on a very "conservative" assessment of risk, but also did not get the government's nod. It has argued the framework was "unilaterally" adopted by the RBI in July 2017 because both the government nominees on the Board were not present during the meeting. Furthermore, it believes the RBI has over-estimated its capital reserves requirements resulting in excess capital of Rs 3.6 lakh crore, which is more than a third of the RBI's total reserves. The central bank maintains various types of reserves to cover various risks including market risk, operational risk, credit risk and contingency risk. For the year ending June 2018, RBI boasted total reserves of Rs 9.59 lakh crore, comprising mainly currency and gold revaluation account (Rs 6.91 lakh crore) and the contingency fund (Rs 2.32 lakh crore). The RBI follows the July-June financial year. Sources told the daily that the government has proposed that the use of the surplus to the tune of Rs 3.6 crore ought to be decided in consultation with the RBI. These funds can be used, for example, to recapitalise public sector banks, help them expand their loan book and come out of the Prompt Corrective Action framework. This is not a new suggestion. Former Chief Economic Adviser Arvind Subramanian had said in Economic Survey 2016-17 that the RBI is "is already exceptionally highly capitalized" and nearly Rs 4 lakh crore of its capital transfer to the government can be used for recapitalising the banks and/or recapitalising a Public Sector Asset Rehabilitation Agency. But the proposal was opposed by the then RBI Governor Raghuram Rajan. The RBI has steadfastly maintained that the government's decision to dip into its reserves can adversely impact macro-economic stability. In its opinion, the FinMin's latest proposal does not tantamount to any fresh income, and is essentially in the nature of issuing new securities to fund government expenditure. This not only hurts the government's commitment to fiscal prudence, but also affects the confidence of the financial markets. The RBI's staggered surplus distribution policy (SSDP) has also come under fire. The FinMin's view is that RBI has been "conservative" and at times "arbitrary," especially when it comes to the transfer of the interim surplus. For the year ended June 2017, the RBI paid a dividend of Rs 30,659 crore, which was not only less than half the amount transferred in the previous year (Rs 65,876 crore), but also the lowest since 2011-12. This was on account of the additional expenses incurred on printing of new currency notes following demonetisation in November 2016, the cost of managing excess liquidity and the Rs 13,000 crore that the RBI retained as risk reserve. The latest RBI dividend was also only 91% of the dividend collection projected in Budget 2018, bringing matters to a boil. Sources told the daily that the ministry proposed that from 2017-18, the RBI should transfer the entire surplus to the government after taking into account its capital requirement. This is another area where the government and the RBI differ. Significantly, in 2013, a technical committee headed by YH Malegam recommended transferring the entire surplus to the government since there was no need to build up the contingency and asset development reserves. Their balances were deemed to be in excess of the buffers needed. So the payout for 2013-14 shot up to 99.99% of the surplus generated by the apex bank, up from around 53% in the previous fiscal. Three years of bumper dividends followed, but then the RBI came out with its new economic capital/provisioning framework. RBI Deputy Governor Viral Acharya's October 26 speech, which brought the RBI-Centre tussle out in the open, had touched on the risk of transferring excess reserves from a central bank to government, saying it can be "catastrophic" as in the case of Argentina. The transfer of $6.6 billion of its central bank's reserves to the national treasury sparked off "the worst constitutional crises" in Argentina and led to "a grave reassessment of its sovereign risk", Acharya said. He also quoted former Deputy Governor Rakesh Mohan to warn against the pitfalls of the government using central bank's reserves. "The longer-term fiscal consequences would be the same if the government issued new securities today to fund the expenditure. (Raiding) the RBI's capital creates no new government revenue on a net basis over time, and only provides an illusion of free money in the short term." Can the Centre and the RBI, which have rarely seen eye to eye on the matter of surplus payouts, be able to settle on a middle path this time round?